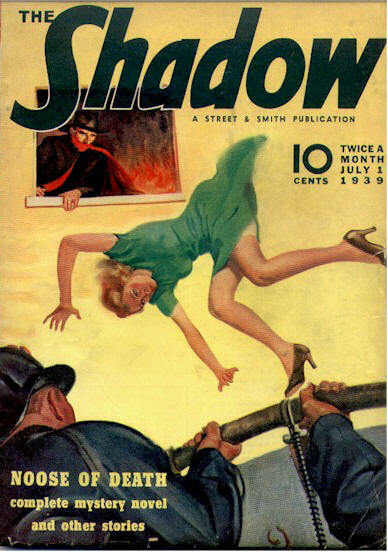 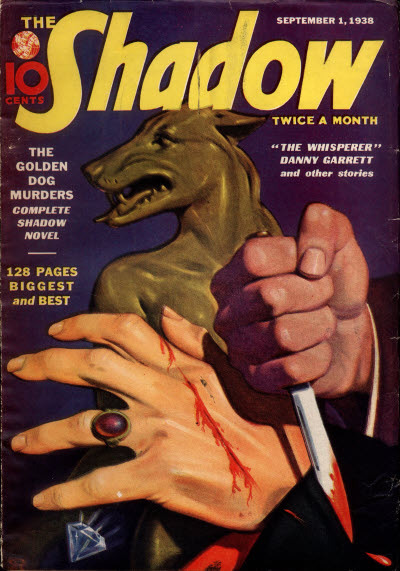 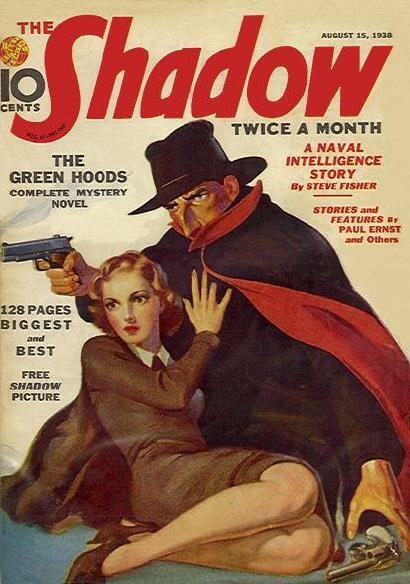 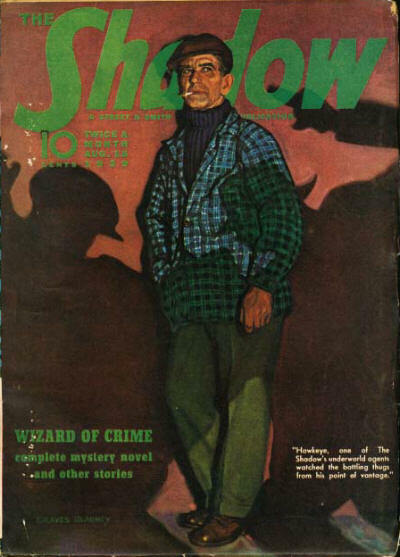 6 · The Green Hoods [Kent Allard (The Shadow)] · Maxwell Grant (by Walter B. Gibson) · n.
6 · The Golden Dog Murders [Kent Allard (The Shadow)] · Maxwell Grant (by Theodore A. Tinsley) · n.
6 · Crime Over Boston [Kent Allard (The Shadow)] · Maxwell Grant (by Walter B. Gibson) · n.
10 · The Dead Who Lived [Kent Allard (The Shadow)] · Maxwell Grant (by Walter B. Gibson) · n.
8 · Vanished Treasure [Kent Allard (The Shadow)] · Maxwell Grant (by Walter B. Gibson) · n.
9 · The Voice [Kent Allard (The Shadow)] · Maxwell Grant (by Walter B. Gibson) · n.
9 · Chicago Crime [Kent Allard (The Shadow); Thumb Gaudrey; Pointer Trame; The Hand] · Maxwell Grant (by Walter B. Gibson) · n.
9 · Shadow Over Alcatraz [Kent Allard (The Shadow)] · Maxwell Grant (by Walter B. Gibson) · n.
9 · Double Death [Kent Allard (The Shadow)] · Maxwell Grant (by Theodore A. Tinsley) · n.
9 · Silver Skull [Kent Allard (The Shadow)] · Maxwell Grant (by Walter B. Gibson) · n.
9 · Crime Rides the Sea [Kent Allard (The Shadow); Thumb Gaudrey; Pointer Trame; The Hand] · Maxwell Grant (by Walter B. Gibson) · n.
9 · Realm of Doom [Kent Allard (The Shadow); Thumb Gaudrey; The Hand] · Maxwell Grant (by Walter B. Gibson) · n.
9 · The Lone Tiger [Kent Allard (The Shadow)] · Maxwell Grant (by Walter B. Gibson) · n.
9 · River of Death [Kent Allard (The Shadow)] · Maxwell Grant (by Theodore A. Tinsley) · n.
9 · The Vindicator [Kent Allard (The Shadow)] · Maxwell Grant (by Walter B. Gibson) · n.
9 · Death Ship [Kent Allard (The Shadow)] · Maxwell Grant (by Walter B. Gibson) · n.
9 · Battle of Greed [Kent Allard (The Shadow)] · Maxwell Grant (by Walter B. Gibson) · n.
9 · Deaths Harlequin [Kent Allard (The Shadow)] · Maxwell Grant (by Theodore A. Tinsley) · n.
9 · The Three Brothers [Kent Allard (The Shadow)] · Maxwell Grant (by Walter B. Gibson) · n.
53 · Hook McGuire Hooks a Killer [Hook McGuire] · George Allan Moffatt · ss; not the same as the story of the same name in the February 1, 1941 issue. 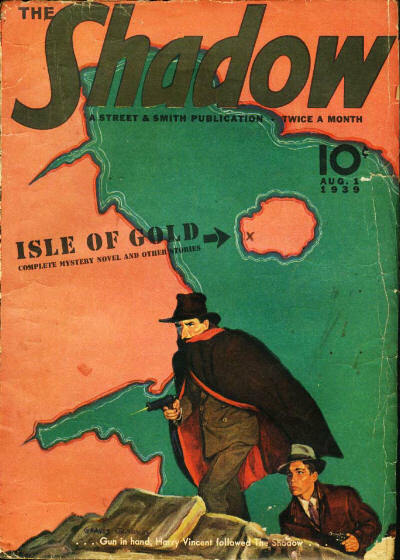 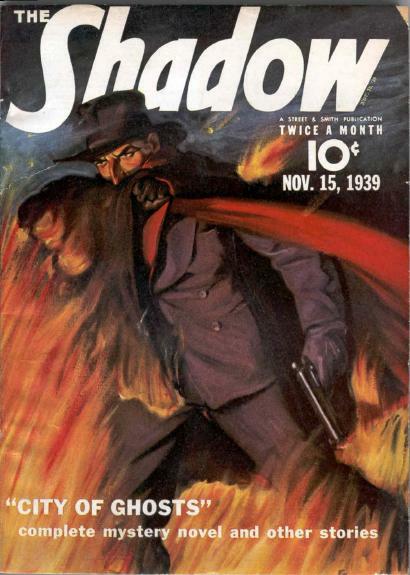 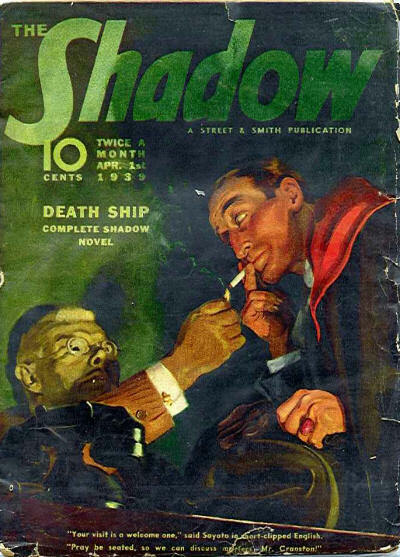 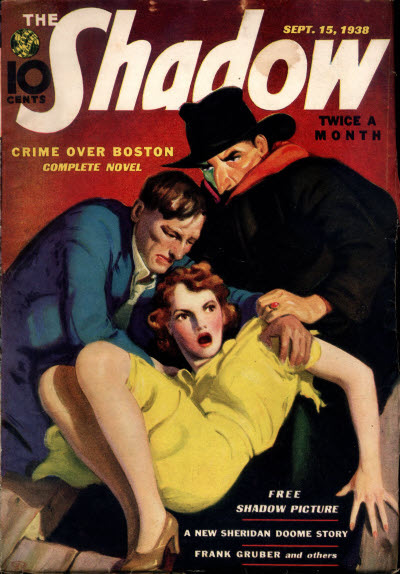 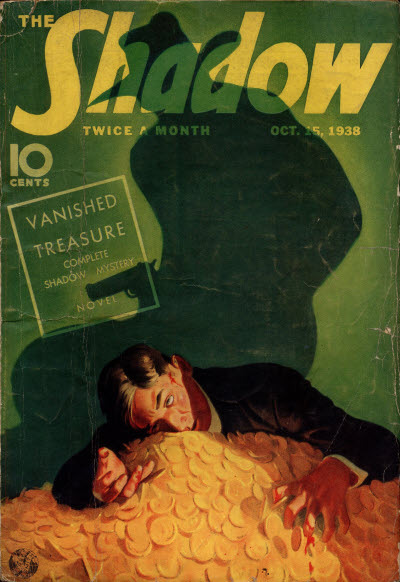 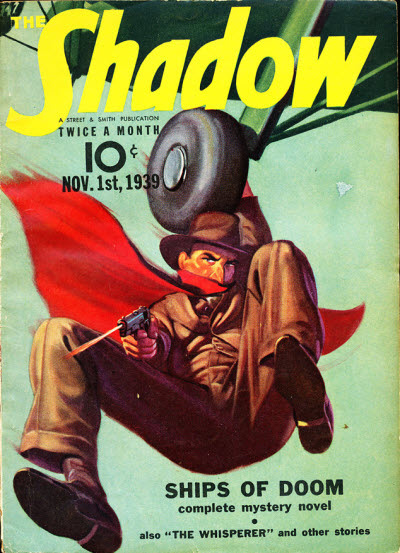 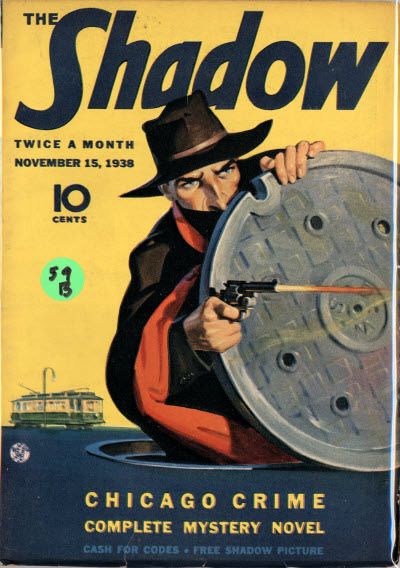 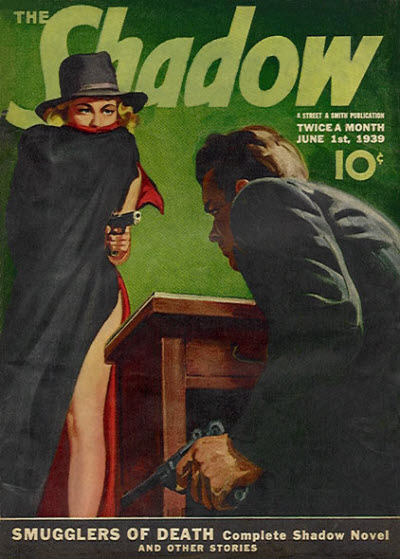 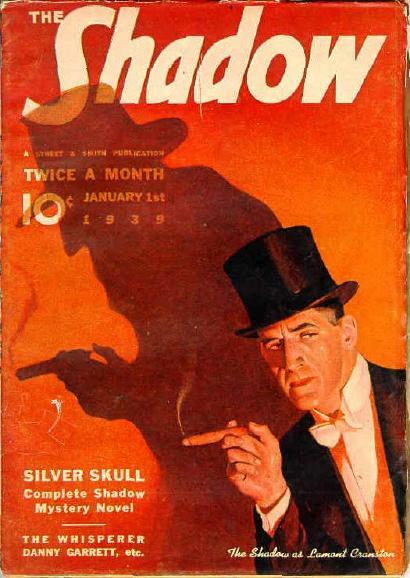 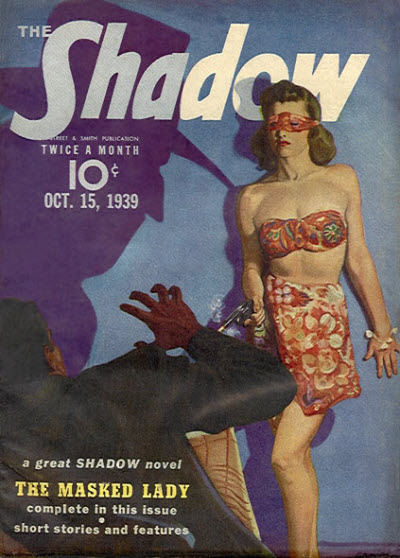 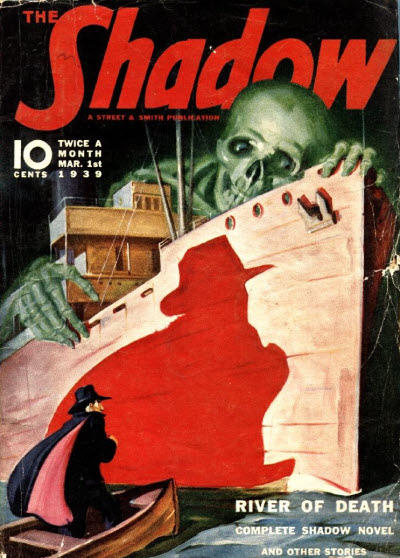 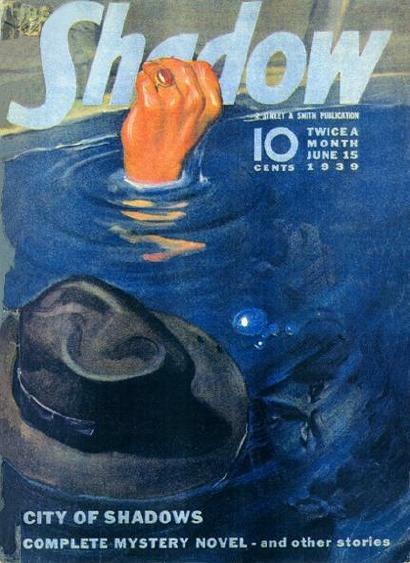 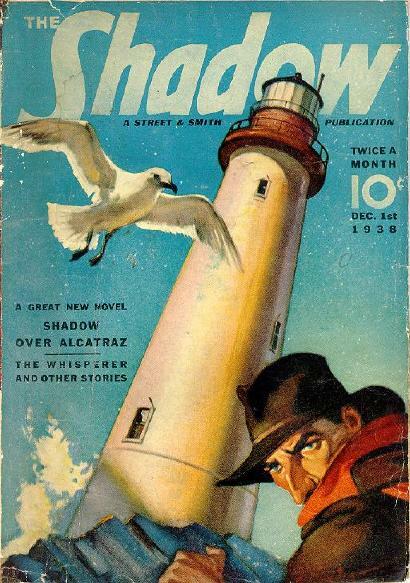 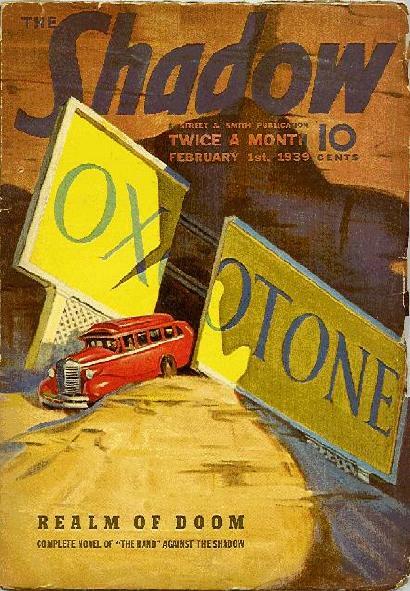 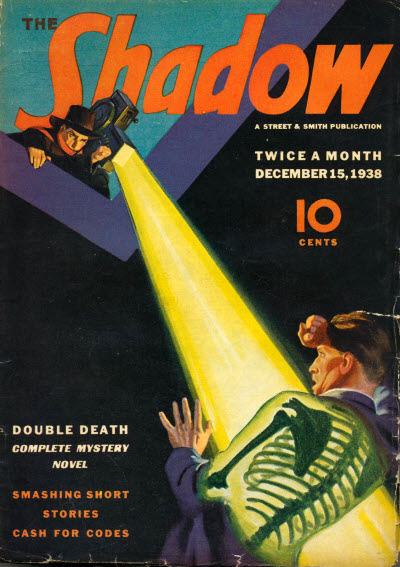 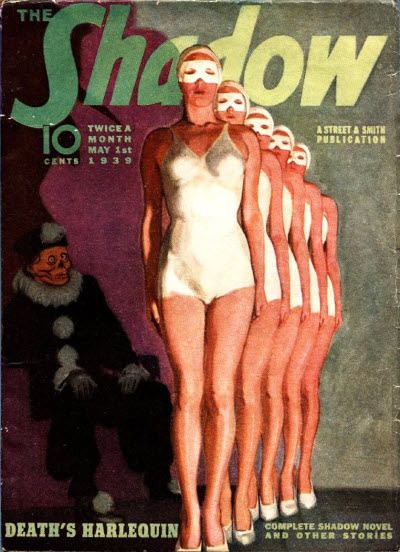 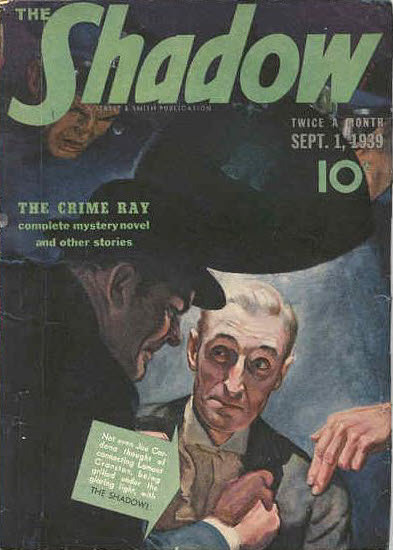 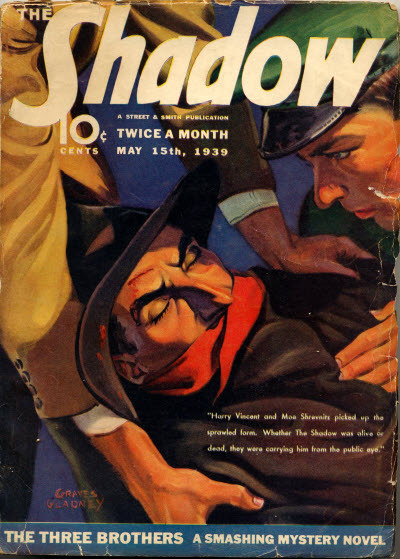 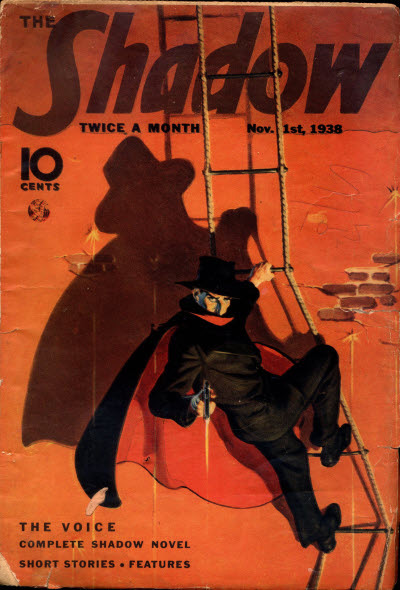 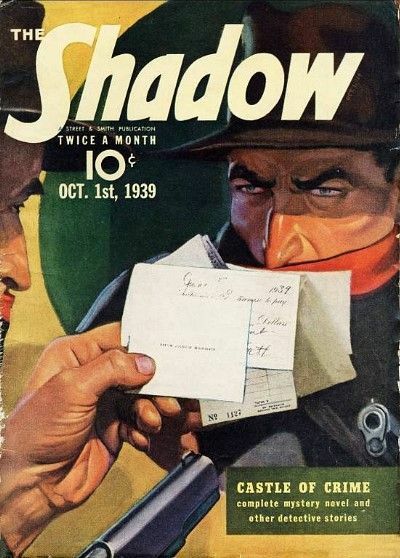 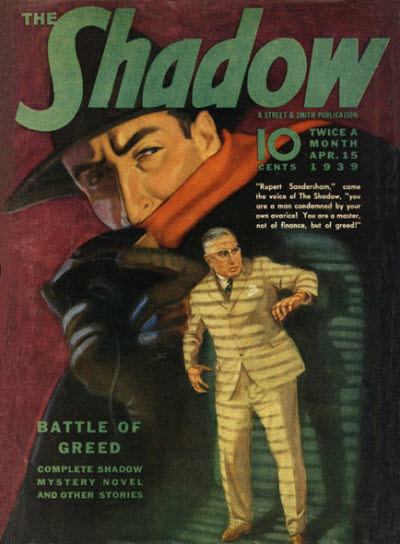 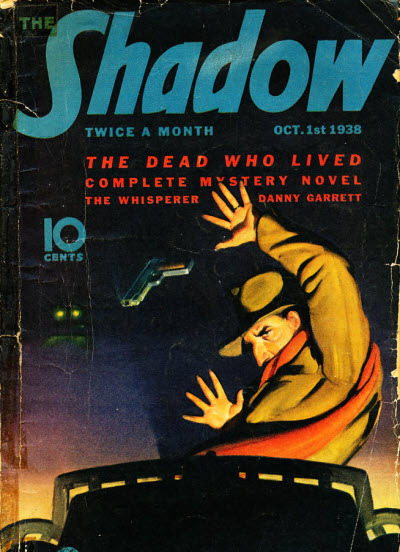 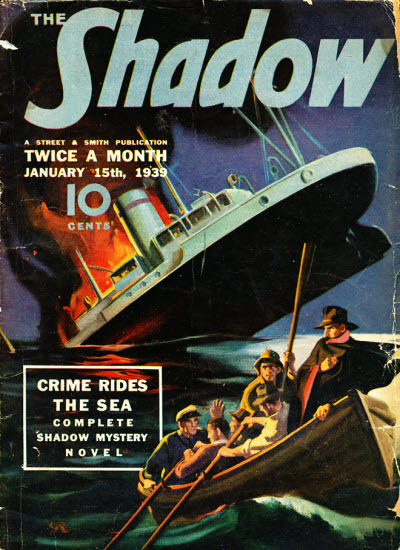 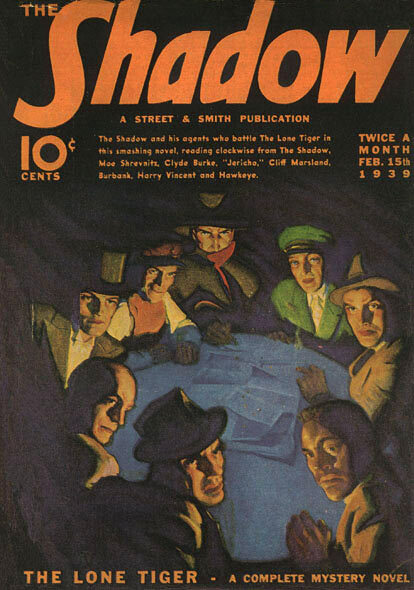 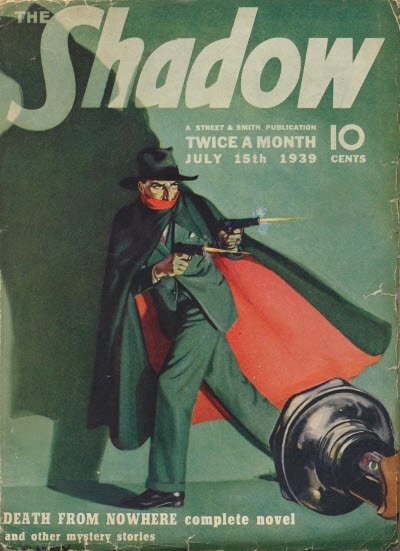 9 · Smugglers of Death [Kent Allard (The Shadow)] · Maxwell Grant (by Walter B. Gibson) · n.
9 · City of Shadows [Kent Allard (The Shadow)] · Maxwell Grant (by Walter B. Gibson) · n.
9 · Noose of Death [Kent Allard (The Shadow)] · Maxwell Grant (by Theodore A. Tinsley) · n.
9 · Death from Nowhere [Kent Allard (The Shadow)] · Maxwell Grant (by Walter B. Gibson) · n.
9 · Isle of Gold [Kent Allard (The Shadow)] · Maxwell Grant (by Walter B. Gibson) · n.
9 · Wizard of Crime [Kent Allard (The Shadow)] · Maxwell Grant (by Walter B. Gibson) · n.; not the same as the story of the same name in the February 15, 1943 issue. 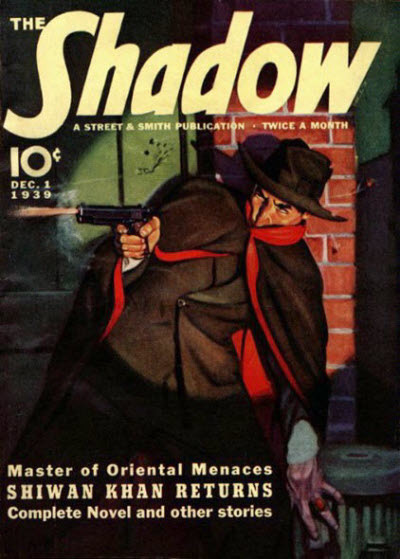 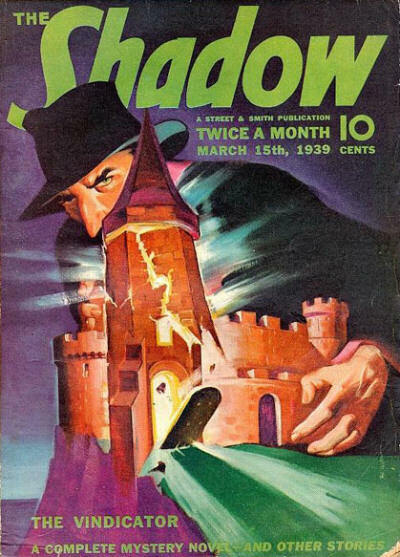 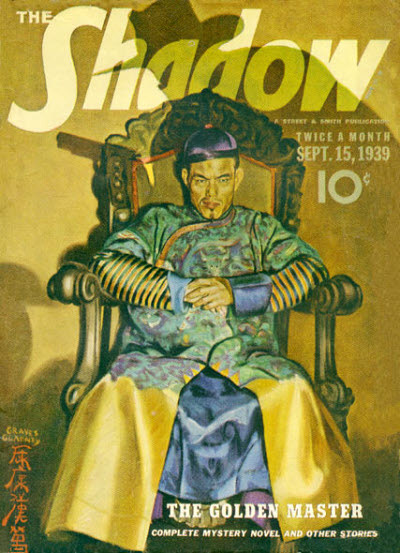 9 · The Crime Ray [Kent Allard (The Shadow)] · Maxwell Grant (by Walter B. Gibson) · n.
9 · The Golden Master [Kent Allard (The Shadow); Shiwan Khan (The Golden Master)] · Maxwell Grant (by Walter B. Gibson) · n.
9 · Castle of Crime [Kent Allard (The Shadow)] · Maxwell Grant (by Walter B. Gibson) · n.
9 · The Masked Lady [Kent Allard (The Shadow)] · Maxwell Grant (by Walter B. Gibson) · n.
9 · City of Ghosts [Kent Allard (The Shadow)] · Maxwell Grant (by Walter B. Gibson) · n.
9 · Shiwan Khan Returns [Kent Allard (The Shadow); Shiwan Khan (The Golden Master)] · Maxwell Grant (by Walter B. Gibson) · n.